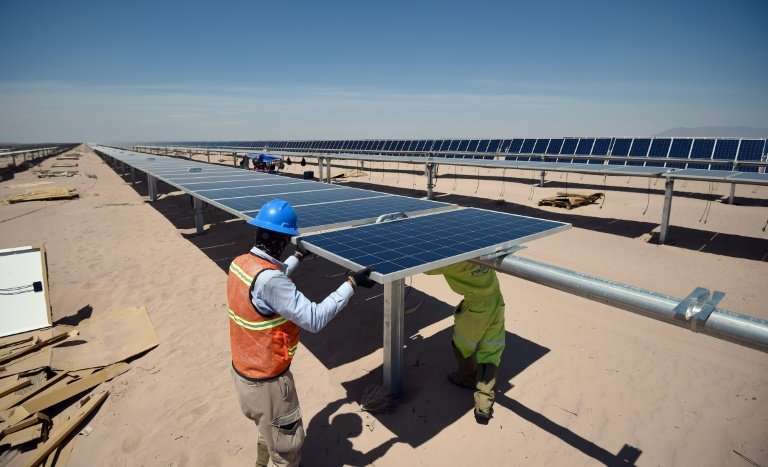 The growing renewable energy industry created 500,000 new jobs globally last year, surpassing the 10 million-mark for the first time, an Abu Dhabi-based agency said on Tuesday. Harnessing clean energy around the world had created a total of 10.3 million jobs by the end of 2017, a 5.3 percent jump on the previous year, according to the new report by the International Renewable Energy Agency (IRENA). Adnan Z. Amin, director-general of IRENA, said the findings showed renewable energy "has become a pillar of low-carbon economic growth for governments all over the world". "Fundamentally, this data supports our analysis that decarbonisation of the global energy system can grow the global economy and create up to 28 million jobs in the sector by 2050," he said. China, Brazil, the United States, India, Germany and Japan lead the rest of the world accounting for 70 percent of the jobs, the report said. The number of jobs represents a 47 percent jump from 2012, with over 60 percent of the jobs concentrated in Asia, mainly China, the report said. At the end of last year, China had 3.88 million people employed in the renewable energy sector, up 12.1 percent on 2016 and representing 38 percent of jobs worldwide. The expansion of the renewable energy sector is seen as essential to achieving the goals of a landmark climate pact signed in December 2015. In order to accomplish the accord's aim of limiting the rise in global temperatures to below 2.0 degrees Celsius (3.6 degrees Fahrenheit), IRENA said the renewables share in the global energy sector must double by 2030. "Investments must be scaled up from some $305 billion in 2015, to an average of $900 billion per year between 2016 and 2030," the agency said last year. Renewable energies have become drastically cheaper thanks to recent developments in technology, according to IRENA.